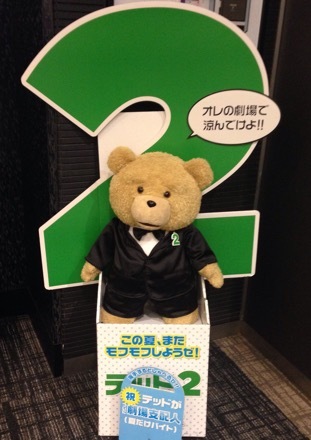 I found a cute ted’s card when I checked the movie ticket at shop! It is a movie ticket called ‘mubi-chike’ with QR code on the back. I could reserve by this number,and the card is left. The price of this was 400 yen lower than original one. And,I don’t have to use it on the day. I have been to watch the movie. I can’t forgive him,in spite of still bad boy. The girl who is acted in ‘Mamma Mia!’ was standout. She was a good singer.